Jocelyn’s Bio – Your Coach, Mentor, and Friend. Named a Top Ten Michigan Women Business Owners for her words of wisdom, Giangrande’s highly-rated presentations are motivational, engaging and leaves audiences wanting more. 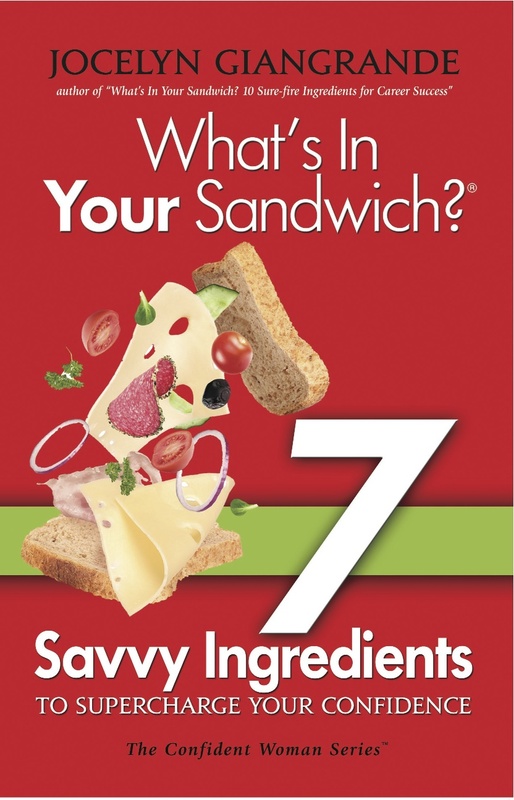 Featured in Women’s Day Magazine, HR Magazine, Black Enterprise and author of the “What’s In Your Sandwich? career strategies books; 10 Surefire Ingredients for Career Success, and 7 Savvy Ingredients to Supercharge Your Confidence”, Giangrande, serves as the President and founder of SASHE, LLC, and the SASHE Career Academy for Women (SCAW). Her company provides strategic career coaching, training & development for leaders looking to advance careers. The strength of her expertise is based over 20 years of corporate experience with a professional career spanning several industries such as higher education, hospitality, human services and healthcare. Giangrande is also a certified diversity expert with15 years of diversity and inclusion experience specializing in cultural transformations, building inclusive environments, diversity education and awareness, as well as strategy implementation. Realizing that many women find themselves stuck in careers without a road map to move forward, Jocelyn founded SASHE, LLC: an acronym for Sisters Achieving Success Harmony and Empowerment. SASHE, LLC is a company focused on building confidence and advancing careers of women. Giangrande is also a Cornell University Certified Diversity & Inclusion expert experienced in helping organizations create inclusive cultures. Her work gained national recognition earning four consecutive awards by Diversity Inc, the Institute for Diversity and Crain’s Detroit Business. Giangrande was named a Diversity Champion, by The Race Relations Task Force in Birmingham, MI, and a Diversity Business Leader by Corp! Magazine. Jocelyn’s credentials include: certified Senior Professional in Human Resources (SPHR), graduate,Cornell University Diversity Leadership Program, B.A. in Psychology, Colby College,M.A., Human Resources Management, Marygrove College and graduate of Inforum’s Center for Women’s Executive Leadership program. The ideal coach for women leaders, Jocelyn excels at getting you unstuck, building confidence and exploring what may be holding you back. Jocelyn uses over 20 years of corporate experience with a professional career spanning several industries such as higher education, hospitality, human services and healthcare to coach, educate and train professionals. Using a strength-based approach, individuals utilize strengths to overcome leadership challenges, increase team engagement and communicate more effectively. As a Cornell Certified Diversity Professional (CCDP) Giangrande has the ability to meet people where there are, and remain flexible to styles and approaches. Coupled with degrees in psychology and human resources, she has an in-depth understanding of human behavior, group dynamics and organizational development. This allows her to understand organizational cultures and how individuals may excel in such cultures. As a former human resources executive, Giangrande’s experience has afforded the unique opportunity to understand the common challenges leaders encounter navigating, leading teams and their own career development. Her belief as a coach is everyone has the potential to be successful. As a coach, her objective is to help bring out the best of leaders and leverage what they have to achieve. A certified Senior Professional in Human Resources (SPHR), and a graduate of Cornell University Diversity Leadership Program (CCDP), Jocelyn earned a Bachelor of Arts degree in Psychology from Colby College, a Masters of Arts degree in Human Resources Management, from Marygrove College and is a graduate and former facilitator of Inforum’s Center for Women’s Executive Leadership program. Total Woman Award, Total Woman Assoc.